Photo by: Metro Nashville Police Dept. Police believe that the teens robbed the victim, then killed him when he refused to give them his car keys. NASHVILLE, Tenn. — Five juveniles are in custody after allegedly shooting and killing a local musician in north Nashville on Thursday. The teens were located Friday morning inside a stolen vehicle at the Walmart on Charlotte Pike. Police used cell phone pings to track the suspects. According to police, the suspects had a stolen loaded pistol with them and a second loaded pistol was found inside the store. Police said the car was stolen from Brentwood. Editor's note: 10News does not usually identify juvenile suspects but do so in this case because of the severity of the charges. 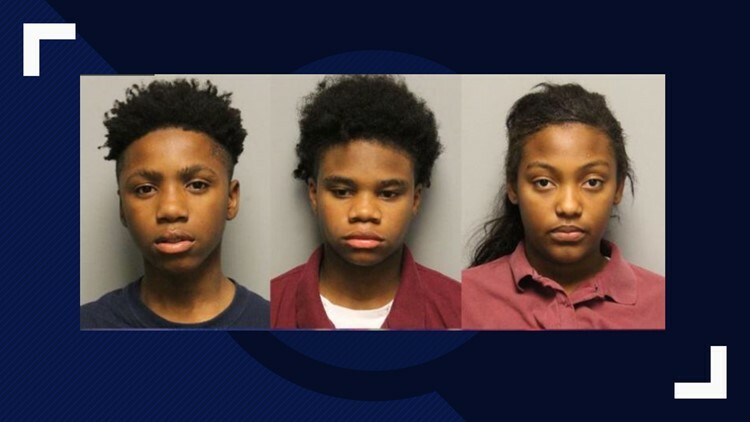 Under Tennessee law, three of the teens' names were allowed to be released because they are over 13 and are charged with homicide. The suspects are being held at the juvenile detention center. They are scheduled to appear in juvenile court at 2:30 p.m. Friday. Neighbors told police they saw the group of teens in the alley behind their houses on Thursday and heard gunshots.